← No Way Shawne Merriman is Still on Steroids, Right? … Pryor made decisions that undermine the integrity of the eligibility rules for the NFL Draft. Those actions included failing to cooperate with the NCAA and hiring an agent in violation of NCAA rules, which resulted in Ohio State declaring him ineligible to continue playing college football. Pryor then applied to enter the NFL after the regular draft. Pryor had accepted at the end of the 2010 college football season a suspension for the first five games of the 2011 season for violating NCAA rules. Pryor will be ineligible to practice prior to or play in the first five games of the NFL regular season after he signs. If you want to read more about it, go here. If you want to know how I feel about it… I’ll tell you. 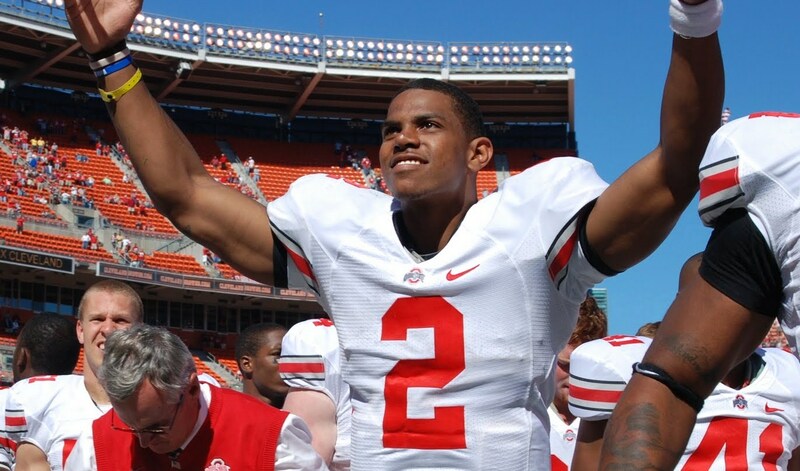 Sure, Terrelle Pryor is a dumbass for doing the things he did at Ohio State. Granted, after the U of Miami allegations, he looks like a friggin’ angel. All that’s beside the point. Ponder this…what if you got busted in college on campus breaking the rules… boozing, curfew, illegal free tats, whatever. Then, imagine if the job that you got after college found out about it. No big deal, right? They hired you…everybody’s moved on. Now imagine they docked your pay, or put you on suspension, or fired you, because of what you did in college. You pissed off yet? Terrelle Pryor is. You should be too. This entry was posted in College Football, Football, NFL and tagged NCAA, NFL, Ohio State, OSU, Terrelle Pryor, Terrelle Pryor NFL, Terrelle Pryor suspension. Bookmark the permalink.